Doe Deere was born in Russian, but she like many focused and determined immigrants are on track to make America great. Her entrepreneurial spirit and unstoppable efforts have led to the success of her makeup line, Lime Crime and her new fashion line, Poppy Angeloff. Doe Deere, like many immigrants came to America seeking an opportunity to succeed in life. At 17, she arrived here with her mother and sister. They started out in New York where they struggled and at one time became homeless with some help they changed their circumstances drastically. Doe Deere went to the Fashion Institute of Technology and her sister was able to attend Columbia University with the help of the leader of a non-profit organization called Sanctuary for Families. From the homeless shelter, they moved to the projects in East Harlem. While it wasn’t the best living situation, it was an improvement from what they were coming from. Both she and her sister had their own rooms and they had a kitchen to prepare their meals. Despite their dire situation, Deere’s family felt like things were looking up. After not being employed for a long time, Deere’s mom was finally able to secure work as an accountant, the profession she had in Russia. In the 2000’s, Doe Deere started experimenting with makeup and in 2008 she founded Lime Crime. At that time, she was employing 35 people out of her Los Angeles head quarters. For nearly 20 years, Doe Deere has been working hard to accomplish the American dream. Clawing her way up from homeless to CEO, Doe Deere has created a uniquely creative line of makeup that has specific traits. Lime Crime is a line of makeup that is vegan. Deere does not use animal by-products to formulate her products. Beeswax is also excluded. By communicating directly with her customer, Deere has had a successful product line. She encourages interaction with her customers through social media, Snapchat, FaceBook and YouTube. Because of her interactions with customers, she knows what they want and she delivers it repeatedly. Doe Deere’s Lime Crime is a product of her struggle and her desire to make it anywhere after making it in New York. When a cosmetics company is founded by a woman who started her professional career as a rock musician, people take notice. Unfortunately, that notoriety may only last a “New York Minute” if the cosmetics themselves don’t meet high standards. 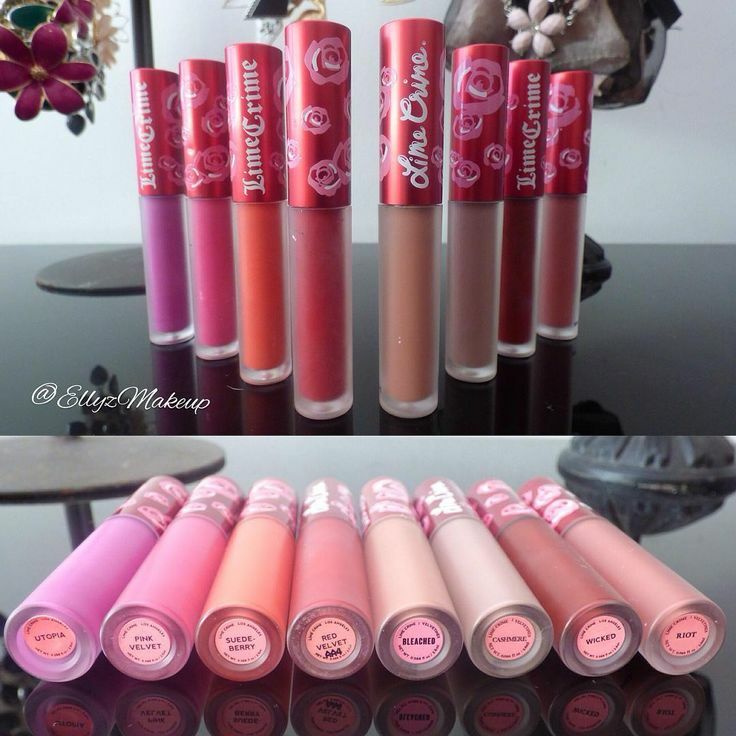 In the case of the now well known leader of innovative cosmetics, Lime Crime, the cosmetics have surpassed expectations. This makeup is fun, colorful and can be worn by people of all ages. They’re suitable for any lifestyle from conservative business environments to the hottest international music clubs. Beginning with core philosophies that are appealing in themselves, Lime Crime has caused a buzz. Vowing to always remain vegan and cruelty-free, this company has managed to successfully walk that tightrope of integrity and marketability. If people come to the cosmetics line looking for vegan products, they are pleasantly surprised by the fabulous colors and the ease with which they are applied. Conversely, those who are initially attracted to Lime Crime for their color varieties and visual appeal feel good about their purchase from an animal rights standpoint. This company has proven that when done with heart and devotion a company can “do good” and “do well” at the same time. One of the latest offerings on Amazon from Lime Crime is a dazzling array of metallics. From it’s eye shadows, which make use of water during application, to it’s lip colors this is a trend which is really gaining ground in the fashion world. Women who are no longer satisfied with the standard smoky eye and lip gloss are becoming devotees by the thousands. Trendy yes, but certainly no “flash in the pan” Lime Crime is again setting the current trends. See pictures of the new metallic shades in action via their Tumblr page.